Not everyone is born with a celebrity-like smile. Some people suffer from tooth discolouration while others have orthodontic issues. These problems and other cosmetic dental issues can highly affect your confidence and interaction with other people. If you feel that, you are in need to enhance or restore your smile, consult your dentist and get the smile you deserve with the help of smile makeover. Smile makeover treatments can address a wide range of aesthetic issues. It doesn’t matter if you have crooked, eroded, misshapen, or disproportionately sized teeth, or a dull smile and uneven gum line. Advancement in dentistry has made it possible to offer a potentially ideal solution for every aesthetic flaw. So long as you are in good oral and overall health, you can be the best candidate for the procedure. Having yellow or stained teeth can ruin a smile. If you have tooth discolouration, your dentist may address the problem with the use of professional teeth whitening treatments, tooth-coloured fillings, as well as dental crowns and bridges. For missing teeth, the lost teeth can be replaced with restorative treatments such as dentures, dental bridges and dental implants. The treatments will not only complete your smile but will also improve your oral health by reducing the risk of dental bone loss and tooth decay caused by tooth loss. To modify the length, shape and position of teeth, tooth reshaping is the ideal procedure. It helps improve your smile by contouring your tooth into a more pleasing shape. In addition, the procedure is quick, simple, painless and affordable. If gapped or misaligned teeth are your main concern, the overlapping or crookedness of teeth can be fixed through veneers or orthodontic treatments. Here at Q1 Dental, we offer innovative solutions to orthodontic problems using CFast cosmetic tooth alignment and ClearCorrect, which involve fast, easy and invisible way of correcting alignment issues. From minor dental blemishes to more extensive damage, smile makeover is sure to rejuvenate your smile and re-establish your confidence. The most noticeable benefit of smile makeover is a greatly improved appearance. Many patients who underwent the treatment find their new smile boost their self-esteem. In addition, healthy and beautiful teeth can also increase motivation for your personal dental care. By maintaining good at-home oral hygiene habits and undergoing routine check-up and cleaning, you can enjoy the result and astounding benefits of smile makeover for many years to come. Having a healthy and attractive smile is life changing. The benefits of smile makeover can go beyond aesthetic appeal. With a comprehensive assessment of your condition as performed by our expert team, we will help you determine the most suitable option for your smile perfection. 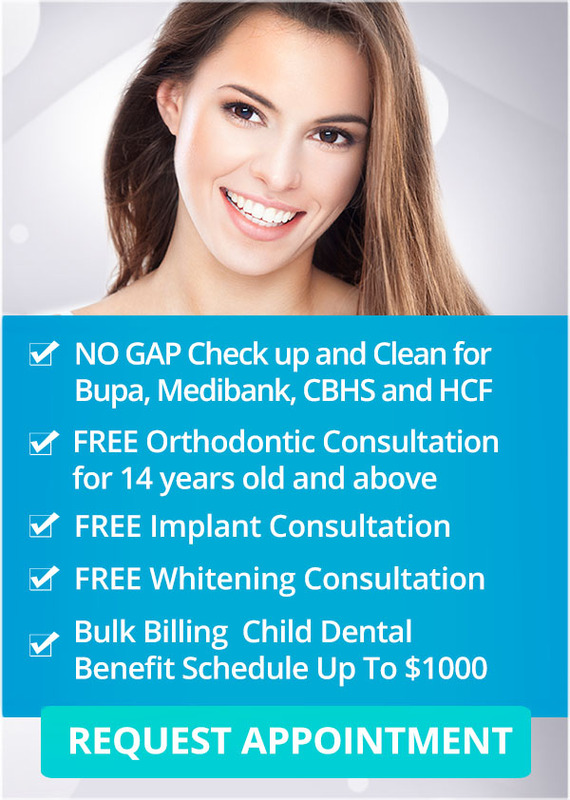 Visit your trusted Melbourne dentist at Q1 Dental for an excellent smile makeover plan today. Smile MakeoverSmile Makeover in MelbourneWhen Do You Need a Smile Makeover?